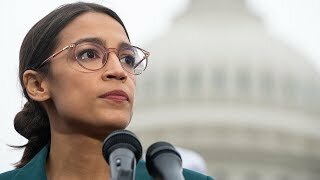 After telling allies it's "not acceptable" to disparage a Republican who differs with her on climate strategy, AOC explains: "That's the difference between me and Trump." Plenty of political figures preach about the importance of civility. There's even a Congressional Civility Caucus. Even first lady Melania Trump promotes something of the sort with her "Be Best" campaign. Yet it is relatively rare these days to see a high-profile figure pull the brakes on a debate in order to urge their allies to be civil toward someone with whom they disagree on matters of partisanship, ideology or legislative strategy. Congresswoman Alexandria Ocasio-Cortez did just that last week, when she appeared on MSNBC's All In With Chris Hayes to discuss the Green New Deal. The New York Democrat joined former Republican Congressman Bob Inglis for a robust discussion of the legislation she has proposed to address climate change while investing in 21st-century job creation. Ocasio-Cortez and Inglis, a South Carolinian who has been described as "a Republican believer in climate change [who] is out to convert his party," agreed on some things. But they differed on how hard to push for the Green New Deal. Inglis, who has argued for free-market responses to the crisis, warned that pushing too energetically for government action might create a circumstance where "we have basically the mirror image of a Trump rally on climate change." He suggested that ardent advocacy on the issue might "drive all the people away that could come our way and solve this thing now." That assessment did not go over well with the crowd, which was enthusiastic about Ocasio-Cortez and her activist approach. Then Inglis said: "You can't do it in a single Congress, the entire Green New Deal. It is literally impossible." He went on to suggest that legislation action on universal basic income and single-payer health care might need to be delayed in order to focus on the climate debate. His analysis was greeted with chorus of "No! No! No!" And someone shouted "Moron!" That's where Ocasio-Cortez jumped in. "Hey! Hey! Hey!" she said. "That's unacceptable." The crowd quieted quickly, as the congresswoman turned to Inglis and said, "That's the difference between me and Trump." Ocasio-Cortez is signaling that she does not believe that she must destroy those who differ with her, or that she must divide people against one another in order to gain an advantage in the battle of ideas. She places her faith in information and insights. Ocasio-Cortez puts her energy into forming arguments that connect with people, even people who might not be on the same page politically. The seriousness with which she approaches her work as a member of Congress, and as a leader of new discussions and new debates, allows her to be confident without being arrogant. There is no question that this confidence distinguishes Alexandria Ocasio-Cortez from Donald Trump, whose recent rally in Michigan featured anti-AOC chants. But there's more to it than that. A confidence rooted in an understanding of the importance of the issues that are being debated, and of the necessity to move beyond pettiness and get to the heart of the matter, distinguishes AOC from a lot of our politicians. She practices genuine civility because she understands the importance of focusing on big ideas rather than personal disputes. And because she recognizes that an it is this emphasis on ideas that can and must animate our politics if we are ever going to progress as a nation. 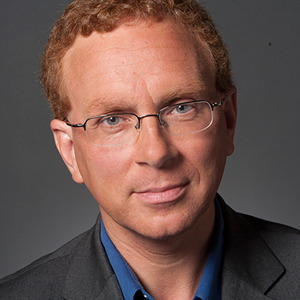 John Nichols, a pioneering political blogger, has written the Online Beat since 1999. His posts have been circulated internationally, quoted in numerous books and mentioned in debates on the floor of Congress. What the Hell Is Wrong With Paul Ryan? It appeared like a stunt. Which undermines the intent of coming off as taking the "high road". Had she said nothing after calling out the name-caller, she could have come off sincere. Who does she think she's talking to? Civility? While smearing and mud slinging is unhealthy, civility like the kind Obama, Clinton, Bush I & II displayed as they murdered countless, while feigning "civility" is something that needs to be addressed. Instead of picking on what won't be changed (Trump's behavior and his constituency which only digs in when attacked), focus on policy. AOC should get her self on a progressive non-intervention page. Where is she in terms of Venezuela? I don't think her approach is effective for anything more than self-promotion. The Democrats are a corrupt Party, not unlike their brethren - Republican.